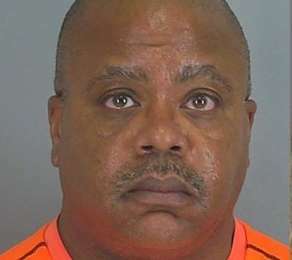 SPARTANBURG, S.C. — A Florida abortionist who was arrested in South Carolina in 2015 on drug charges pleaded guilty this week and has been sentenced to five years probation and over $26,000 in fines. James Pendergraft, who is known for his ownership of several abortion facilities in Florida, pleaded guilty on Monday to ten criminal counts, including possession of a controlled substance, possession of marijuana, possession or distribution of prescription drugs without a prescription, and manufacturing or possession of Schedule I & II substances. According to the Ocala Star Banner and Operation Rescue, as well as court records, he was sentenced to varying punishments—depending on the crime—including jail time of up to five years. However, the time behind bars was suspended and Pendergraft was placed on five years probation. He is also required to pay a cumulative fine of $26,342.25. Court records note that his probation is active as of Oct. 16. While Pendergraft did not face charges surrounding the mobile abortion facility he was apparently operating out of his vehicle, he was prohibited from ever applying for a medical license in South Carolina. As previously reported, Pendergraft and his accomplice, Angela Jackson, were arrested in October 2015 during a week-long drug bust that included 578 traffic stops. Police didn’t expect to find an abortionist on wheels in the process. Wright said that blood and remnants of bodily tissue were found on the instruments inside of the vehicle. Pendergraft has owned five abortion facilities in Florida—including EPOC Clinic, Orlando Women’s Center, and Ft. Lauderdale Women’s Center—but his license is currently under suspension in the state. In May, the Florida Agency for Health Care Administration recommended that the licenses of his three currently operating facilities be revoked. They remain open at this time. Pendergraft himself has been suspended four times, with the most recent suspension being for allowing a staff member to administer drugs without a license and for prescribing steroids without cause to another employee that was known to have a drug addiction. In 2007, his license was suspended for performing illegal late-term abortions, and in 2012, it was discovered that Pendergraft was sending mothers to a secret location in Maryland to obtain late-term abortions as a way to skirt Florida law. In addition to multiple suspensions, Pendergraft has reportedly paid tens of thousands of dollars in fines, as well as hundreds of thousands in administrative costs.